How long has it been since I last shared my thoughts and/or advice on all things blogging here on Miel and Mint? WAY. TOO. LONG. If you have been with me for a couple of years, you might remember my How To Run Your Blog & Keep Up The Pace and How To Get Noticed By Brands blog posts (which I REALLY need to re-fresh and update photography wise). There were more, of course. I saw my blog grow and bloom and I wanted to share my thoughts about it. Even though I don’t think I was “competent” (read: experienced) enough back then to give solid advice, it was the best I could give, and it was relevant to the “simpler” times and the stage the blogosphere was at. What if you are only starting now? 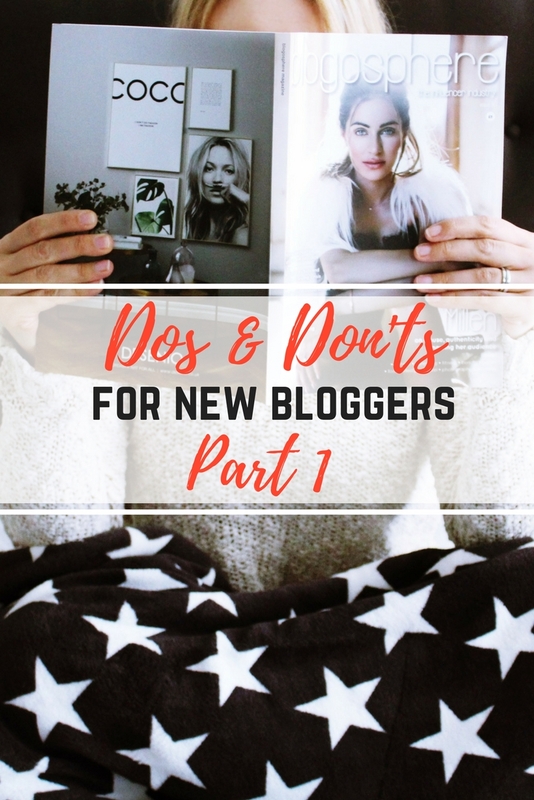 What do you do (or not do) as new bloggers? This post is somewhat a collection of advice I picked up in a couple of years of being a blogger, along with a number of updated tips I’ve learnt in the most recent blogging days. This is a (VERY) old-fashioned definition of who the blogger is. In my humble opinion, a blogger is NO LONGER a person “who writes a blog”. A blogger has been SO MUCH MORE than that for a number of years. Who is a blogger then? A content creator. A writer. A photographer. An editor-in-chief. A digital designer. A marketing specialist. A social media manager. A copy writer. A project manager. A financial guru. A creative mind. A hard worker. A late-nights-don’t-scare-me individual. A person who gets to each milestone through blood, sweat and tears. An inspiration. A go-getter. A goal smasher. A brand. An entrepreneur. These are just a few REAL definitions of a “blogger”. A “blog” is no longer only a website that is comprised of our “thoughts, opinions and experiences”. It’s much more. Blogs have become (mini) publishing houses and (mini) magazines. We don’t create content just for “others to read”. We want to inspire, encourage, help others through what we share. I am hoping this blog post will be exactly that – the advice you might have been looking for if you are new (or new’ish) “on the block”. I will most likely reference to this post myself a number of times – it’s never too late to keep learning, changing and growing. In this post I will cover the basics (because where else are we all supposed to start?). Then, we will move on to practical advice on how to navigate your way in the blogosphere. 1. You are your USP. Why do some people grow faster, achieve more or seem to be getting a lot of traffic or followers? There are many reasons as to why it happens (some of them aren’t necessarily right) but one of the main ones is a simple fact – they are utilizing their Unique Selling Point. USP is something that differentiates you from others. USP is something that makes you stand out. Excuse me while I say one of the most “cliche” things, but your USP is YOU. Having your blog and your social media platforms reflect the real you means you’re honest with yourself, with your readers, and you’re also bringing in something others haven’t encountered before – YOUR point, YOUR ideas, YOUR creativity, YOUR uniqueness. Yes, we might be drawn to something or someone who’s similar to us but, ultimately, we are fascinated by someone who is different or who we’d want to be like. 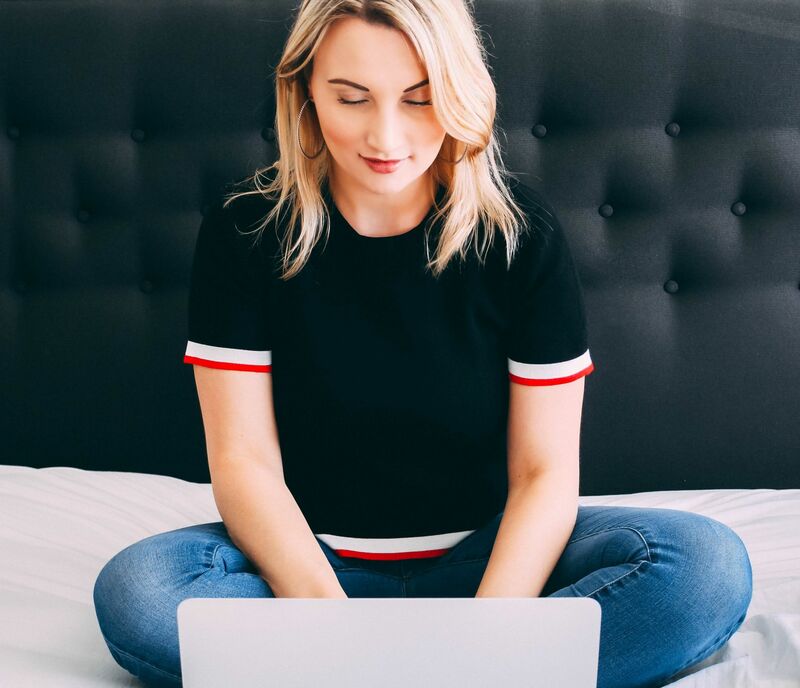 Even if you’re just taking off on your blogging journey, you might have been reading (hundreds of) blogs and have seen things you like and things you don’t. While some content creators might inspire you to produce something “similar” or “be like them”, bear in mind a) their content is their intellectual property and b) where’s the fun part / what’s the point in creating “twin content” or trying to sound/look/be like someone else? Your readers will soon start recognizing your writing, editing, photography style. Make it 100% YOURS. 2. Make time for your blog. Now, this is the one I personally struggle with for many reasons. I’m working on it, guys. Sometimes the circumstances in life, your commitments or things you MUST deal with show up, and you have to make them a priority. And it’s perfectly fine. But. Even on the days/weeks/months when you don’t publish any new content on the blog, stay more or less active on social media. Make time for networking. Or if you feel inspired, jot down ideas for future content. Be consistent, and it will open many opportunities and get you places. 3. Take breaks from blogging. Yup, it might sound like it contradicts point #2. Though, I think it compliments it (speaking from personal experience). I took my first month-long break from blogging about a year and a half ago. It wasn’t a conscious decision. It happened because life happened. After that one, I took a number of shorter breaks. Consciously. I needed to relax, re-charge, gather inspiration, step away from social media. It’s perfectly fine to take breaks – just make sure you let people know so they don’t think you’ve disappeared for good. 4. Keep checking your ‘why’. So many new bloggers reach out to me and my blogger friends who’ve been around for a few years asking for advice. It’s great! Guess what, I find it so encouraging to be able to connect with new people and help someone out. Although, I wish I stopped getting messages asking for a “secret” that would bring that person 5K followers overnight. Ask yourself WHY you started blogging. If you’re after freebies, becoming the next Zoella or “I’m doing it because others are doing it”, you might need to re-evaluate your “why”s. 5. Connect with other bloggers. And I mean, GENUINELY connect. Follow those who inspire you and those you consider like-minded people. Support them by commenting on their content, share it across your social media, like their photos. Believe me, it will not go unnoticed if you do it consistently. Get to know other bloggers. Show unpretentious interest in them and learn from them. Share ideas and thoughts with them. Meet them in real life if they live close-by. I know some people don’t think friendships made online are real. Well, it’s 2018. It’s time to get realistic – we practically live online. Personally, I am very careful with a word “friend”. It probably stems from knowing the meaning of the word in my native language. There’s a mammoth difference in Ukrainian between a “friend” and an “acquaintance”. So yeah, I wouldn’t call just about anybody my friend. However, I am so thankful for many amazing friendships I did make online. If you’d like others to find you, be-friend you, connect with you, make sure your social media buttons are displayed on your blog’s main page (see mine in the top right corner). Also, make that first step first. Follow others and engage with their content before they may “discover” you. It will bear fruit in the long run. 1. Don’t let the numbers define your value. When I started blogging 2.5 years ago, things were a lot simpler and easier (I’m sure those who started blogging 5+ years ago would vouch how things were even more so different back in the day). Content was “less edited” or “glossy” but it was still top-notch. Somehow, there was no pressure to “grow” at a certain pace or “keep up”, because if you don’t, you’d flop. Even now, in the days of striving to get your tiny little patch in the sun, don’t let the pressure of having “big numbers” (read: followers) discourage you. More and more brands are finally paying attention to your engagement rather than your followers count. If your audience is active, receptive and fully engaged with the content you produce, you’re golden. Basically, no matter how many hundreds or thousands of followers you’ve got, if you’re hitting over 6% engagement on Insta, you’re doing much better than many of those sitting in 6-figure stats. Another important thing (I constantly remind myself of): don’t compare your growth. Go it at your own pace. Do push your hardest. Just don’t let someone else’s “faster” success discourage you. I might repeat myself but those numbers do NOT define your value as a content creator or a person. 2. Don’t slide into someone else’s DMs for the wrong reason. When I started blogging and signed up for Twitter, there were people who would used this automated direct messages service. It means that every time I’d follow them, I would get a DM urging me to check out their blog and other socials. Not only do those DMs get ignored, you might get unfollowed the second it’s sent. Even if you don’t use automated DMs, don’t slide into someone else’s inbox being creepy or rude. Never ever ever EVER message a blogger asking how they got all the “free stuff”, demand contacts of the PRs they’re working with or interrogate them on how they got to where they are. So how do you get a blogger you followed engage with your content? Engage with theirs first! How do you get advice from them? Again – engage with them and support them. You might just find out all the answers you need even without asking. From their and your own experience. 3. Don’t play “games” on social media to grow faster. Okay, this one is a MASSIVE no-no. Ask any blogger what they think about the whole follow/unfollow game. No one likes it. What’s a follow/unfollow game? It’s when you follow, say, 100 people just to get a follow back. Then, in a day or so you unfollow them because you might have got what you wanted (a follow back). People who participate in follow/unfollow activities are, sadly, not interested in anyone’s content. Fortunately, many of us use the Unfollowers app and can see those bloggers who follow and shortly after, unfollow. It does no good at all and it can easily ruin your reputation. Plus, we can see you. Another little tip: don’t leave f4f comments under someone’s Instagram pic. They will usually get ignored or deleted. Instead, take a few seconds to write a genuine comment – that way you might eventually get a new follower AND make a friend who will continuously support you. 4. Don’t leave a “nice post” kind of comments. Engaging with the other bloggers’ content is crucial when you’re trying to grow your own blog. It doesn’t only apply to social media but even more so to the blogs you’re reading. If your goal is to leave, say, 25 comments on 25 different blog posts a day, do not copy-paste a write a generic comment. That’s spam. Or worse, say “Nice post” and leave your link. 99% of the time such comments are deleted because they are a) spammy and b) insincere. Every time you want to engage with someone else’s content, leave a decent comment with your genuine opinion on what the post is about. If you really want to help the fellow blogger out, leave a long’ish comment (minimum 15 words on the blog, 4 words on Instagram not counting the emojis). We might keep complaining about all the algorithms but, realistically, we need to do what we can to make it work in a current situation. 5. Don’t feel bad about the mistakes you made, are making and will make. Blogging is the ever-evolving and the ever-changing industry. Something that was considered amazing 3 years ago might be a bit of a “meh” now. Despite the fact that we all tend to be too harsh on ourselves at times with regards to maaaaaaany things we do (or don’t do) for our blogs, don’t let the guilt consume you or make you quit. The blogosphere is so fast-paced that it’s impossible to be a “perfect” blogger. But then again, there’s no such thing as a “perfect” or “ideal” blogger. They don’t exist. We all make mistakes. That’s how we learn. Be a blogger you WANT to be. The main thing is to stay true to yourself and others. Leave me a comment and let me know which one you think is THE most important one.